More than ever we need to use jazz as a diplomatic tool in the world. I am looking forward to our gathering at the International Jazz Day celebration in Russia on April 30, 2018. Looking forward to performing with my soul brothers John Patitucci and Brian Blade this spring! Check out all the recipients here. 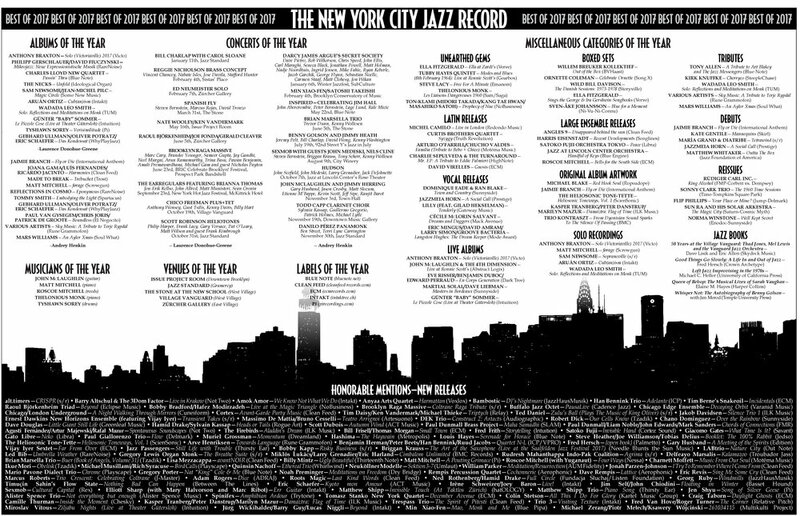 The NYC Jazz Record chose Panamonk as one of the best concerts of 2017! "Inside the fort, a hard-hitting ensemble directed by pianist Danilo Pérez performed Quincy Jones’ 'Jessica’s Day' and Dizzy Gillespie’s 'Cubano Be, Cubano Bop,' with strong solos by trumpeter Avishai Cohen, tenor saxophonist Chris Potter and conguero/vocalist Roman Díaz, after which Pérez played an amazing solo rendition of Thelonious Monk’s 'Pannonica' followed by a full-band, 7/4 treatment of Monk’s “Off Minor”, featuring a powerful extended solo from Potter, who was later joined by Pérez."